Once a month, we partner with Lake Norman CURRENTS magazine to bring you a community story time. STEAM Stories with Maura blends STEAM and literacy, using fun experiments to discuss stories and help with reading comprehension. Maura teaches at Assurance Preschool, and is a mom of two boys. She spent her high school and college years volunteering for Two Together, a one-on-one literacy tutoring program, and was a co-founder of the After School All-Stars literacy program in Albany, NY. 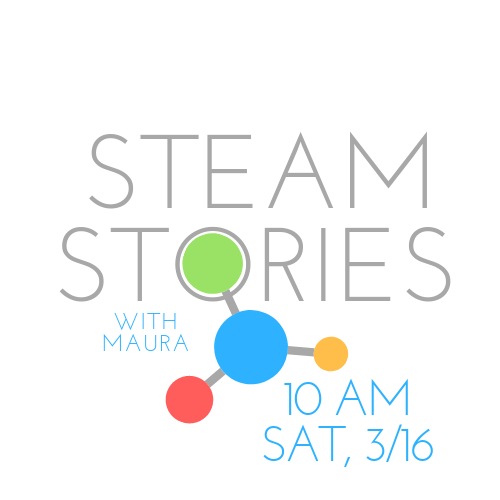 Maura is a freelance illustrator who is passionate about STEAM education. Main Street Books story times are always free and open to all ages. No registration necessary.